If you are looking for the space and flexibility of a hall or conference room, somewhere with a difference, perhaps with the character of a listed building but with modern facilities.......you are looking for the Brownsword Hall. As Trustees of the hall we really believe that surroundings are inspiring and countless visitors to the Brownsword Hall have commented on what an amazing, interesting and welcoming building it is. Our dedicated Caretaker will layout the furniture for you and will be there to show you around the facilities including a demonstration of the PA system (with hand-held or lapel microphone). The windows have wooden shutters so the hall may be darken to make viewing a projection screen easy. The vaulted ceilings have been lined with acoustic panels to ensure speakers can be heard without a disturbing echo. The hall is an ideal venue for business; for meetings and presentations, for training sessions and conferences, for product launches and promotions. Local government organisations, businesses and the voluntary sector use the hall for meetings, AGMs and training sessions. The hall has also hosted art displays, wedding fairs, an opera performance and film shows. 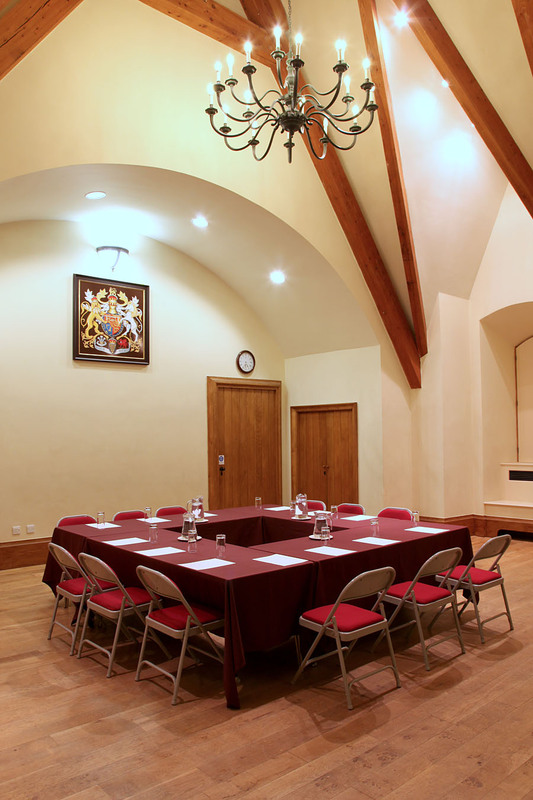 Whatever the event, the Brownsword Hall offers a professional well equipped inspiring location. Our experienced Booking Officer is very happy to answer any questions and show you around.